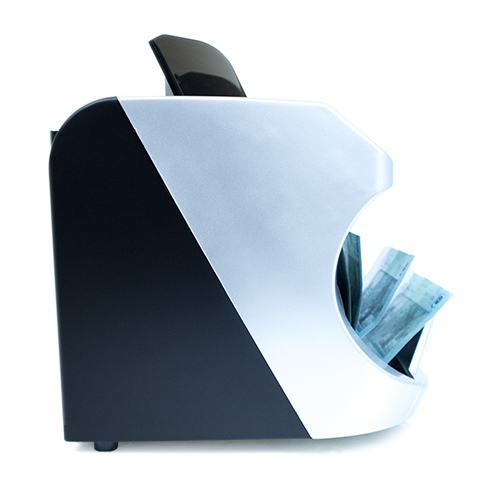 The LC-3200 is a reliable high speed banknote counter machine which suitable for home and office. 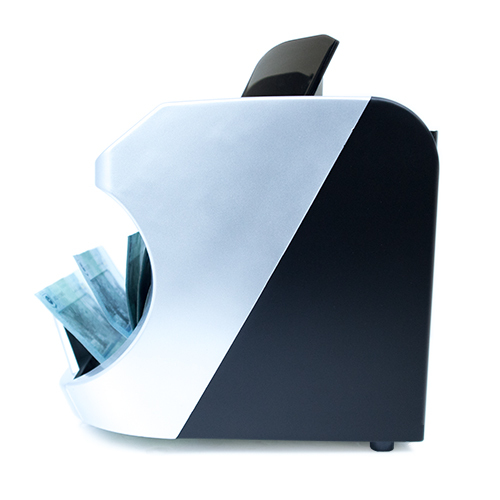 It has a back loading hopper that can able to hold up 200 banknotes and counts them accurately. Featuring an ultraviolet scanner, it is able to detects the UV markings when a bill is passing through the machine. It will pause and beep to alert you when it encounters a suspicious bill. 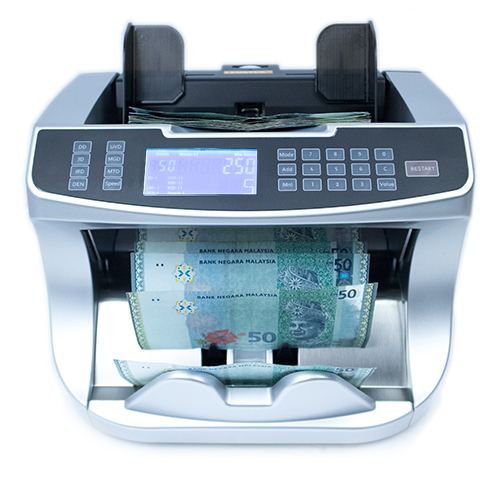 The LC-3200 is able to handle both polymer and paper notes with equal ease and accuracy. This machine is equipped with an anti-static brush, which eliminates electrical static charges when counting a stack of polymer bills and make it more accurate. The video below demonstrates how stable and accurate when LC-3200 counts a stack of 100 polymer bills. Batching allows user to create pre-determined cash batch size. The user preset the batch number in the machine before counting, and then put a stack of bills onto the hopper. The machine will count the precise number and stop then wait for user to remove the batch of bills from the machine. For Example, let's use 10 as the batch number. First, the user places a stack of bills onto the machine. The machine will start counting. When the counter reached 10 bills, the machine will stop and wait for the user to remove the bills. After the bills have been removed from the machine, it will continue to count the next batch of 10 bills. The video below demonstrates how the batching works.